With the rapid development of oil and gas exploration and production technology, the traditional mud recovery system has been gradually replaced by an automated, systematic, closed-loop mud recovery system. Cutting dryers are increasingly being used with solids control systems in rigs to meet critical environmental requirements. Cutting dryers can meet environmental requirements, recover and recycle more materials for reuse. Among all GN products, one of them is a star product, a cutting dryer. 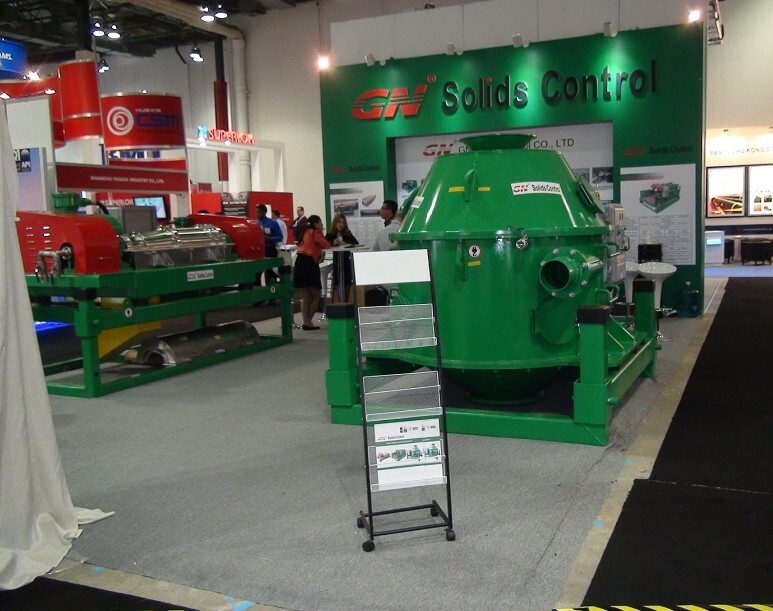 It exhibits excellent performance in both the solids control and waste management pipelines. There are two types of cutting dryers, fixed speed and VFD. GN can manufacture them according to the requirements of different customers, saving customers money. The sieve bowl has a maximum diameter of 930 mm. You can choose from three different types of screens, 250 micron, 350 micron and 500 micron. The processing capacity is 30 to 50 tons per hour. Tungsten carbide protects the threads on the rotor from abrasive solids, ensuring a longer service life. The special design of the high-pressure air knife can automatically and easily clean the net, avoiding the blindness of the mud and water-based mud to the screen. A flushing system with specially designed nozzles around the main body of the cutting dryer prevents the liquid discharge passage from being blocked by deposits. The lubrication system is electrically interlocked with the main motor starter to prevent the machine from operating with low or no oil pressure in the gearbox. The VFD control panel can facilitate soft start, and the fingertip control of the VFD system can change the speed of the motor, so that the G force can be changed to the working state. The VFD system is manufactured by ABB or SIEMENS and is explosive. This is a brief introduction to the GN cutting dryer.